This scholarship is named in honor of Patricio “Pat” Figueroa, Jr., a recognized leader and advocate of people with disabilities. In 1978, Pat founded the first Center for Independent Living (CIL) in New York State – the Center for Independence of the Disabled in New York (CIDNY). The CIL network has since grown to over forty centers. Pat was also the co-founder of the 504 Democratic Club and publisher of the national disability newspaper, Independence Today. He helped train and mentor numerous individuals over the years. For young advocates looking to become future leaders, he is someone to look up to as they learn and strive to reach their ultimate goals. The New York State Independent Living Council, Inc. (NYSILC) is supporting young leaders (age 18-28) by providing The Patricio “Pat” Figueroa, Jr. Scholarship. The scholarship provides funding for young adults with disabilities to attend and participate in independent living related conferences and/or national disability and leadership trainings. NYSILC is looking to sponsor around five individuals a year with scholarships of up to $1,000 each based on cost and need. Interested individuals must apply to be considered (application form button at top of page). Committee members will make award decisions based on availability of funds. Applications are reviewed on a first-come first-served and need basis, while attempting to maximize resources and represent as many young leaders throughout the state as is possible. The scholarships are available throughout each year on a revolving basis, with a September 30th deadline. Each year starts October 1st. 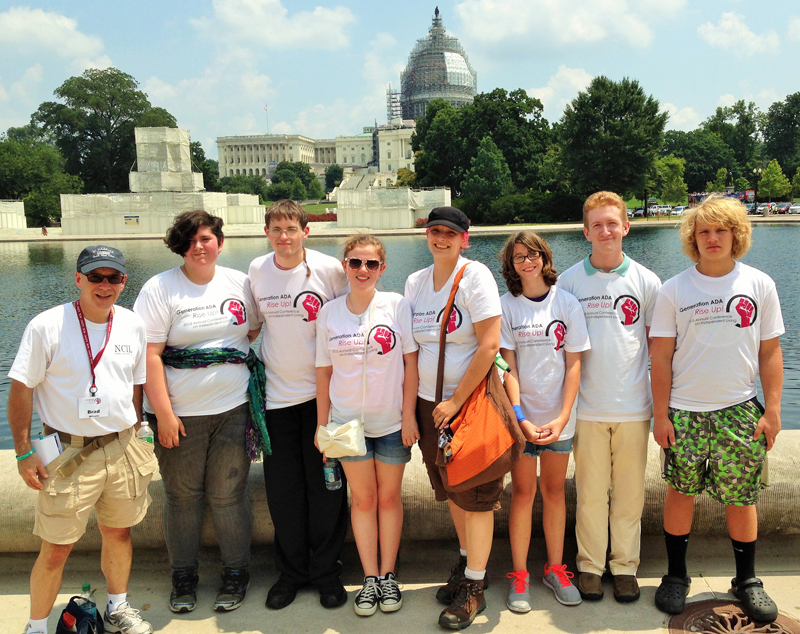 I was pleased to meet up with two youth/young adult groups at the NCIL Conference. From the Rochester youth group, with Ericka Jones, myself, Julian Hiler, Jensen Caraballo, Damaris Cruz, Flip Polizzi Rivera, Priya Penner and Jean Penner, who is the Youth Coordinator at RCIL. From Cortland youth group, myself, Katherine "Kricket" Tracy, Jarett Withers, Sara Askew, Ethan Lewis, Brittany Hall, Zack Curtis, and Aaron Benjamin. 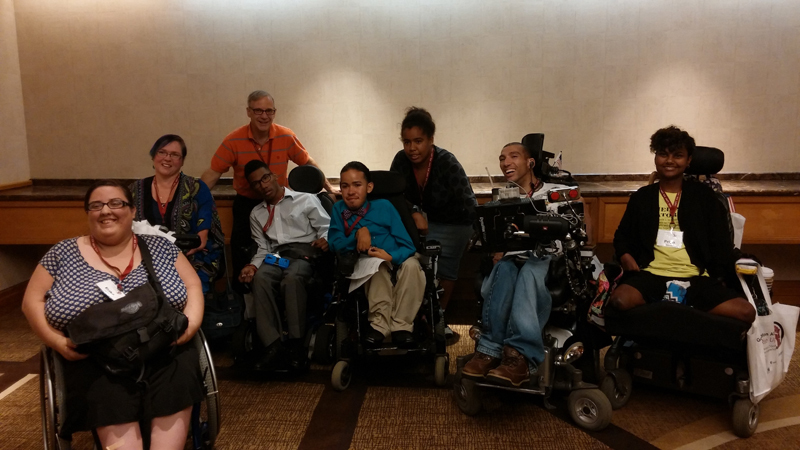 During the past few years, young adults with disabilities have utilized their scholarships to help them attend events such as the NCIL Annual Conference and Board Meeting, NYAIL Statewide IL Conference, Mental Health Waiver Youth Peer Advocacy Training, and The State-of-the-Art Conference. MB facilitates a support group for individuals with disabilities that have been affected by suicidal ideations and attempts by either themselves or loved ones. The group is also available as a bereavement circle for people that have lost friends or loved ones to suicide. EL was selected the 2018 AAPD Paul G. Hearne Emerging Leader Award recipient! KH reached out to a local school district superintendent to discuss starting a disability awareness month acknowledgment throughout their public schools. It is expected to roll out this upcoming 2018-2019 school year in April! KH identified the Respectability NYC women and girls with disabilities upskilling training program https://www.respectability.org/ra-nywf/. Since 2012, the PFS has assisted over 60 youth/young adult peers in New York State to attend trainings/events and increase their leadership development.